The Softening Charm is a transfigurations spell. It is used to soften the target area or object, making it rubbery and bouncy. 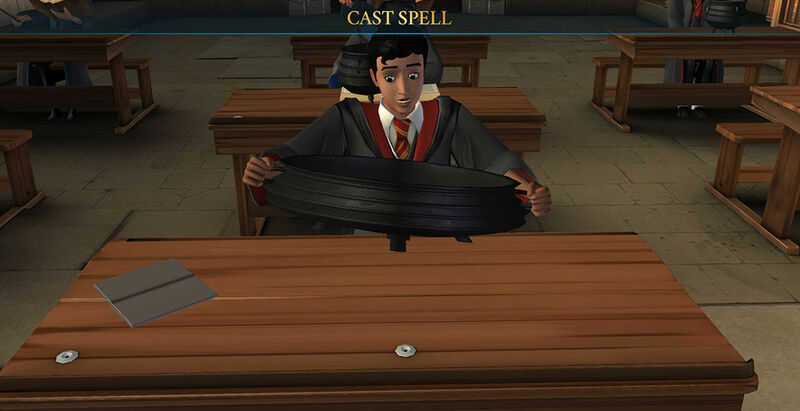 Due to its playful nature and potential, Professor McGonagall warns against using it to bounce around the hallways. It is safe to assume the students that have done this in the past got their just deserts. If you ask me, that looks like a -20 House Point penalty. 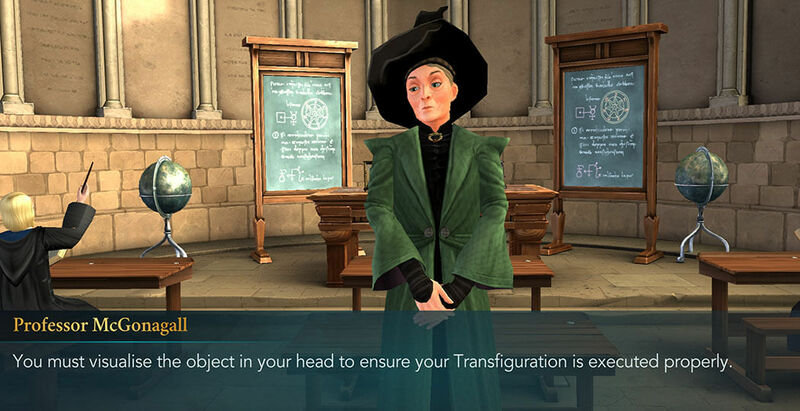 Your last lesson with Professor McGonagall was a private one, making it go faster. But this time, you are back in class with all the other students. This means the charm is easier to master, but it doesn’t pose as much of challenge to a potent wizard like you. 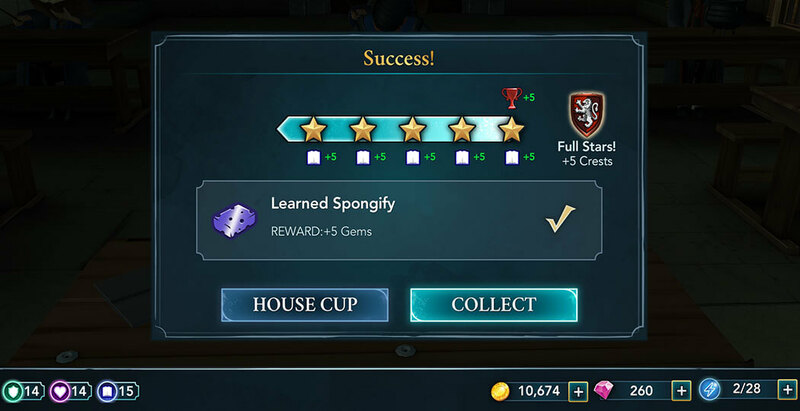 Keep going through the usual routine of clicking on the glowing objects to collect the stars. 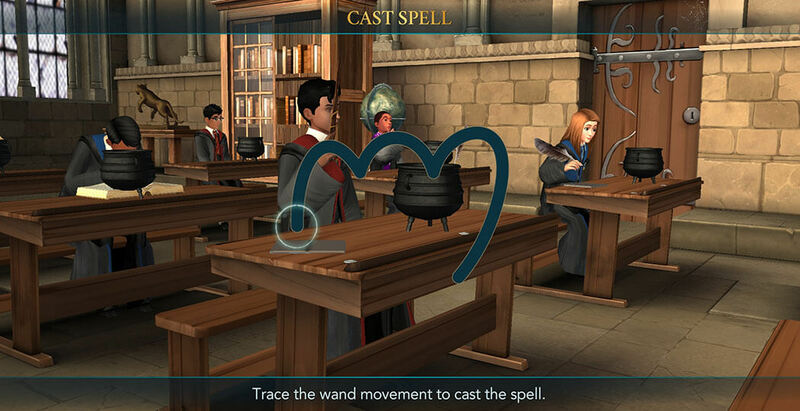 When casting Transfiguration spells and charm, the most important thing is visualization. You must have a clear picture of what you want to create in your head, otherwise it might not go as planned, leaving your cat half-stool, half-animal. Luckily, you learned Reparifarge to correct these minor mistakes that might occur during training. 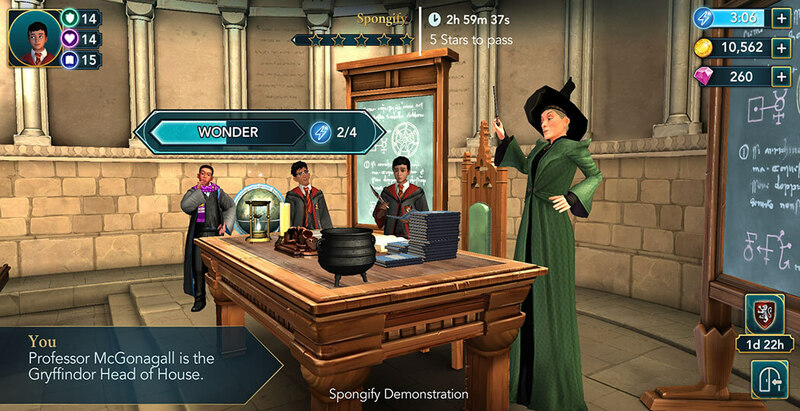 You will hardly be able to believe that after casting Spongify, your tough steel cauldron is now as stretchable as you bath sponge. Then again, you’ve already seen it shrunk, enlarged and even turned into a cat! 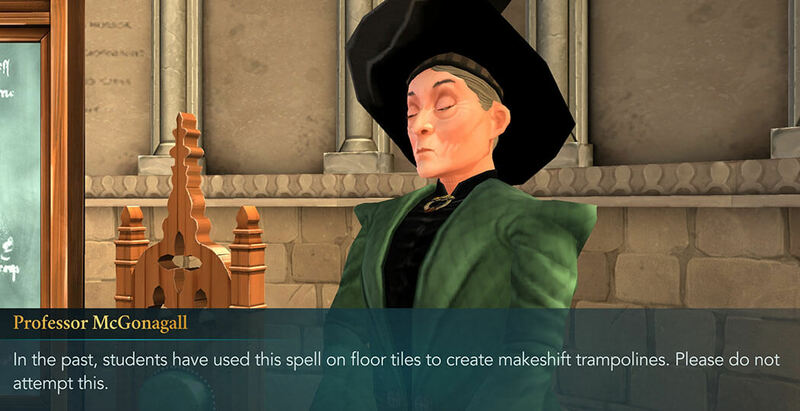 Hogwarts is always pushing the boundaries of what we thought was possible.